My trainer, Brandon Roggow, suggested trying the “Xtreme” program to achieve the results I wanted. I’ve always been petite, but I wanted more muscle definition and better tone overall. The program far exceeded my expectations!! 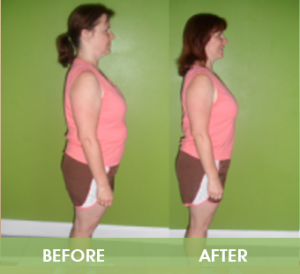 The first week I lost three pounds and 1 ¾ inches! Some weeks weren’t as drastic, but consistently working the program paid off! There have been other benefits as well. Keeping my diet within 10-20% of calories from fat along with my training has dropped my cholesterol lower than it has been in twenty years without medication! Having recently celebrated my fiftieth birthday, I can honestly say I am in better shape than I have ever been. None of these results could have been achieved without the help of my trainer. 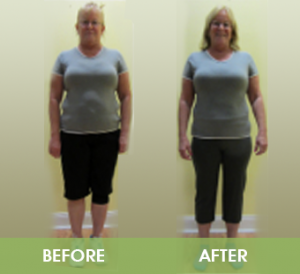 His motivation to my personal program has helped me and continues to help me see significant changes in my definition and overall well-being. I was overweight and miserable. I weighed 234 pounds! I was diabetic and my self-esteem was very low. I wanted to change my life, so I began to workout. A few months later I started to meet with a personal trainer to really help me achieve my goals. My personal trainer gave me the right tools to accomplish my dreams. I lost 93 pounds in 15 months! I am still working to get better, but my whole life has changed. I am no longer diabetic, and I have confidence now! Thank You, Brandon!!! My weight has always been an issue for me. I have been on a yo yo for so long. Almost two years ago I lost my dad to heart disease and liver failure. That was a wake up call for me. With two small children (5 and almost 4) to keep up with and a motivation to get healthy, I went to a weight loss clinic and lost almost 35 lbs. I was eating right and running 4 miles a day. Over the holidays last year I let myself go and gained back 13 lbs. I was still running but could only do about 3 miles (on a good day) and could never do it without stopping. I didn’t feel good either,I was tired all the time, not eating right and miserable with myself. I knew I needed to change but didn’t know where to start. Fortunately, a great friend, Stephanie, invited me to join a boot camp. I didn’t know what to expect but decided I needed to do something to get healthy and fit again. And possibly winning $500 couldn’t hurt either! Here we are 6 weeks later and I can honestly say I’m not done but in the best shape I’ve been in a very long time. As tough as they were, I really enjoyed the workouts, some more than others, Ha ha!! I like that I can do these workouts anywhere I am. I know I would be still struggling with my fitness and health if I hadn’t done this boot camp. I would like say thank you to Brandon and Habitat Fitness for what you do and the results I have achieved through your workouts, nutrition information and encouragement. I truly feel that Brandon and Habitat Fitness were instruments to help me do this. Habitat helped me renew my mind from thinking, “I could never do that!” to “I’ll try it!” to “I CAN do it!” to “I can do more!” I changed from thinking of every excuse in the book why I couldn’t lose weight, to making a commitment and sticking to it, and seeing results (12.5 pounds, 2.9% body fat and 7.75″ lost)! I am no longer worried about my next doctor’s appointment, but rather excited to show her my transformation, which includes a normal blood pressure! (She gave me 3 months to lose weight or be put on high blood pressure meds.) Today I measured 121/79! When the alarm clock would ring each morning at 5:25, I actually became excited to get out of bed, and get to Habitat, where I’d meet new and old friends, all ready to go! Brandon quickly became one of these friends. His workouts are very challenging, but he consistently showed modifications for lower fitness levels (like me sometimes! ), or health concerns. Brandon is very encouraging, always using positive motivation, and bringing out the best in me. He is very knowledgeable about both exercise and nutrition, and willing to answer my many questions (thanks, Brandon, for your patience!) One of my favorite moments was when I did the box jumps — had to conquer my fear, and did! I also enjoyed seeing my fitness progression when we did a workout again at the end of the 6 weeks which we had recorded during the first week. I went from 8 rounds to over 13! What a sense of accomplishment! I am truly grateful that I was able to complete the six-week bootcamp at Habitat Fitness, and would highly recommend it to anyone wanting to become stronger, healthier, or more focused. Thank you for a great experience! I’m still in the transformation process, but my renewed thinking is heading me in the right direction! 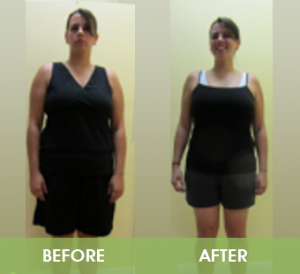 I just completed six weeks of boot camp, and I am on an amazing journey of personal transformation. It has been liberating for me to realize this journey is not a diet but a lifestyle that will keep the weight off the rest of my life. I have always given to others and put them first. I finally am doing something for myself. I have more stamina and energy now and feel better than I have in years. I use to feel so stressed out, sluggish and tired all the time. Best of all I am happy with myself and proud of my accomplishments. The first week I could not do one sit up or one push up and I was so frustrated with the fact that I had let myself get to this point in my life. I was so totally out of shape. With the help of the trainers Brandon and Sheryl I have been able to accomplish more than I ever thought possible in 6 weeks. After my first week I felt like a different person. I have made a lot of new friends and everyone is so helpful and encouraging. The fact you can progress at your own pace is something that was very appealing to me. I am so thankful I made the decision to join. I have gone from a size 10 to a size 6 in six short weeks. 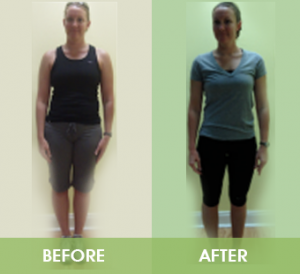 The inch loss you experience in the body transformation keeps you motivated to do more. Thank you Habitat Fitness for helping me Find myself again. I feel FANTASTIC. My weight has always been a struggle in my life. I have tried many different “diets” with success, but the weight always came back. As I have gotten older the struggle has just gotten harder! I’ve realized this was because I didn’t make a lifestyle change, I was just looking for a quick fix. A few months ago a coworker/friend of mine introduced me to Brandon and Habitat Health and Fitness. I can now say that I really enjoy working out. Brandon is an awesome motivator and the environment is great! I love that everyone works at their own pace and level. Each workout is different and we never know what to expect. It’s a bonus that I actually feel great after each workout. I really like the fact that we get a great cardio workout along with working individual muscle groups in a 35-40 minute session instead of having to spend hours at the gym to do the same. I truly feel like I am on the path to my new lifestyle. 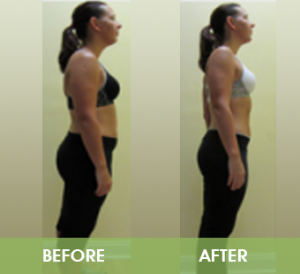 After just completing the 6 week Team Body Transformation Challenge I feel amazing! The nutrition was a struggle at first, but once I figured that out, off I went! I know that this is a doable path that I can continue on to get to my goal weight and stay there. I actually catch myself missing workouts on the weekends and wondering what the week will bring. My family has been completely supportive and they are even taking steps to become more active as they have seen how great I feel. You can’t put a price on being healthy and feeling great! Thank you so much Brandon for being an awesome trainer and for helping me to get on the right track. Win, Lose or Draw this 6-week challenge has been amazing. I reached my goal weight. A weight that I have been chasing for 25 years. Habitat Fitness is an amazing gym. Brandon with wife Maria and son Elijah are absolutely the BEST. I am awed what this young couple has accomplished. 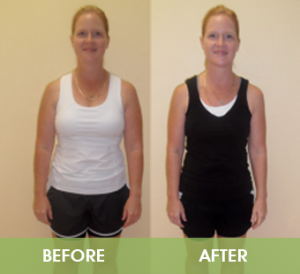 They are a wonderful young family with a strong commitment to family and fitness. Brandon’s expertise in nutrition and exercise cannot be surpassed. I have tried all the latest, pills, potions, and exercise plans for the last 30 years. (Do you remember AIDS? the little caramels; well that’s how far back it goes.) Brandon made one statement that finally just clicked. “you cannot out exercise poor nutrition” and he was so right. I feel stronger, healthier,and happier than I have in many, many years. Trying on bathing suits this year will not hold any of the drama of past seasons—-it might just be fun. All the people at HABITAT, are encouraging and fun to work out with. When you feel good about yourself the rest of you life will begin to fall into place. HABITAT FITNESS will change your body, your fitness level, and ultimately your life. I look forward every day to see what new and challenging workout Brandon will have ready for us. You have absolutely nothing to LOSE except weight and body fat, so come workout with us it will be the best decision you ever made. Growing up I was always the skinny kid, not particularly active or athletic, just skinny. I put on weight in college, but starving myself and running took care of that and I graduated weighing 106 pounds and a size 6. Unfortunately 20 years of working long hours, long commutes, eating in restaurants, inactivity, having a child, etc. took their toll. First I was a little bigger, then “average” then beyond. Someday I would get in shape. You know, when I had unlimited time and money and could have my own personal trainer and chef make me over. 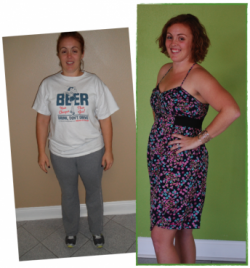 Last spring I began watching the Biggest Loser for the first time and one evening while watching had enough. I got off the couch and hit the scale and was 195 pounds. That was my “something’s gotta change” moment. I opened the latest fitness game for my Wii (which I had had for three days) and put it in and worked out until after midnight. I made it my mission to lose 30 pounds by our annual beach trip. Research led me to clean eating, a whole foods diet, and daily interval training and I lost 31 pounds by the end of June. The change was noticeable, but I had only gone down about 1 size. Then I had to have major surgery and was forced to be inactive again. Slowly my food choices became worse, my clothes became tighter, and I felt less fit, even though the scale didn’t change. Three months later when I was allowed to exercise I was both too lazy and too scared. In January I reconnected with Brandon and discovered his program at Habitat Fitness. I LOVE working out here. I work out so much harder with Brandon to motivate me, and other people to challenge me to do more. I can do things now that I didn’t think I would ever do again, and I’m still improving. With this training in four months I have lost 28 pounds and now weigh 138. My body fat went from 37% to 26.4% and I have lost over 15 inches and 4 clothes sizes. Now I’m a size 6-8 and it is SO fun to go shopping, especially for bathing suits. 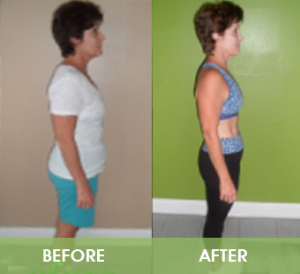 My results motivated my husband to get involved and he had an extremely successful 6-week transformation also. Most importantly both of us are committed to healthier lifestyles, especially for our 5-year-old daughter. Our goal is to instill in her the habits that ensure she never has to fight this battle later in life. This is a journey for us, and we are excited to see our continued good results. Thanks so much Brandon for bringing fitness not just to myself but to my whole family! I am very active, a runner and an avid exerciser. So my story is not really about weight loss, which is odd for a body transformation contest. 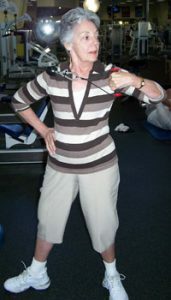 My story starts with a shoulder injury, an injury causing me daily pain for more than 2 years. As the mom of 2 boys, I was left unable to do the things I should have been able to do as a mom (throw balls, push them on the swing, etc.). So, I underwent surgery in 12/2009 followed by 8-10 weeks of rehab. During rehab, I reinjured my arm and was left in more daily pain than pre-surgery. I was feeling extremely frustrated, sorry for myself and even depressed. I was an active person/mom stuck in a body that just wouldn’t work!! Enter Brandon and Habitat Fitness…..having never considered boot camp before because of my injury, I was very nervous, but after talking to Brandon, I was encouraged to take the challenge, knowing it was my last ditch effort to rehab my arm and avoid another surgery. Fast forward 6 weeks, I have lost 12lbs (8.79% of my body weight), 5.75 inches, 2.69% body fat and I am in the best shape of my adult life…….but more importantly, my arm/shoulder pain has decreased about 85% and my range of motion and strength in my arms is better than it has been in years! I feel motivated, pushed to and beyond my limits, surrounded by support, and very sweaty at every single boot camp and I love it!! I am officially addicted!! My life before Habitat Fitness and the Body Transformation Challenge consisted of yo-yo weight loss/gain and a continual struggle with low self-esteem and poor body image. I joined many gyms, tried multiple diets and bought a multitude of weight loss books and exercise videos. 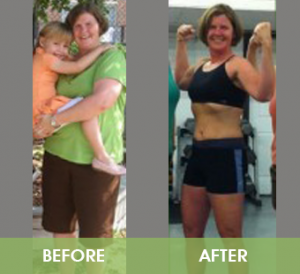 When I entered the Body Transformation Challenge, I did not believe that I would stick it out and finish the program; every day I thought I couldn’t finish, but the staff and the Habitat family gave me the support that I needed to continue. Soon I began to see a change in my body, my self-esteem improved and my energy level began to rise. Prior to beginning the program, I was actually losing my hair but it seems that Habitat Health and fitness has even had a positive effect on my stresses! I surprised myself and made it through the challenge. 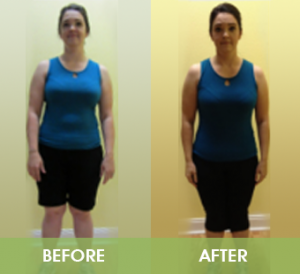 In my “before” picture, I was ashamed of my body but after completing the program, when it was time to take the “after” picture, I was proud of what I had accomplished. I have a long way to go, but I now know that with determination and the proper support, I can accomplish what I set out to do. I owe all this to the staff and the Habitat for Health Family. Thank you for giving me my life back! 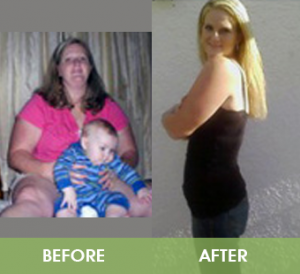 My weight problems were very apparent when I gained close to 50 pounds when I was pregnant with my son. After I gave birth I hoped that my body would go back to normal however I ended up very disappointed. My self-esteem was at an all-time low and I really did not want to leave the house, I felt so uncomfortable in my own skin. 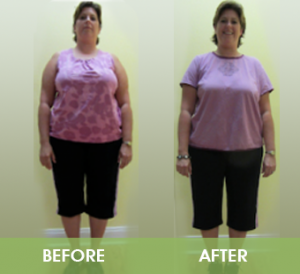 I tried every diet out there as well as every magical diet pill and of course nothing worked. I always blamed the fact that I had bad genes in my family and that all the other skinny fit moms were just lucky in the gene pool. I always had an image in my mind that I was going to be that fit and in-shape mom. When I saw that was not the case, I joined a local gym and was a loyal member for 2.5 years, and lost some weight but never felt that I was getting any closer to my goal of becoming a fit athletic mom. I never saw a positive change in my body & I spent hours and hours on the treadmill. I honestly was close to giving up and just accepting that I was now a mom and that is just how I would look now. Don’t get me wrong it was not easy by any means, the workouts have been tough to the point that I feel like calling my husband Josh after a workout to come and drive me home! But no pain no gain, right? I loved the fact that you never do the same old thing over and over again. All the workouts are different and really work all parts of the body. I just regret that I did not start this sooner. To me this was not just a 6 week transformation; this was a lifestyle transformation, one that I plan to stick to for many, many years to come. “People our age can’t do that. I’ve seen what Christy had to do and people our age can’t do that.” That’s what a friend told me when I decided to join Habitat Fit. “I can do anything for six weeks. I’m old not dead,” I said. Then I thought I was going to die! After what I said, quitting was not an option – or I might have quit after the first warm up. There are things that I cannot do as well as others. I may never do a push up correctly; but, more importantly, there are things I can do now that I couldn’t do. There is accomplishment in the doing. Accomplishment: It is different for everyone. For me it is more than the 20 lb. weight loss. It is walking at a quicker pace. It is making an effort to park farther from my destination. It is exercising if you miss a class (o.k. not as much as I should, but doing something). It is making choices about what to eat and drink when socializing…I socialize a lot. Six weeks later “I’m not dead yet”. Boot camp is a love/hate relationship. Hate the process; love the music (reminds me of socializing) and the results. For anyone who thinks they can’t do it, they need only to do it. Don’t think you won’t succeed because of what you can’t do. Do what you are able and see what you can accomplish. Habitat Health & Fitness has taught me the importance of a single choice. The choice I made 6 weeks ago to push myself, to make time for my workouts, and to learn how to make eating healthy a lifestyle, rather than a diet. With two active boys, 10 hour work-days, and weekends that surround baseball field concessions, I have lost 16 pounds, 15 inches and 2% body fat (and counting)! No pills, no injections…No KIDDING! When I say I’ve tried it all, I mean it. 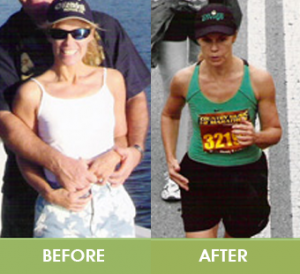 Before Habitat, I looked at health and fitness as a sprint rather than a marathon. I’d jump on the latest bandwagon diet and with it, set the most unrealistic expectations that you can imagine. You know the gimmicks, “20 pounds in 10 days”…diets like that. Now, I plan my meals and make time for my 45 minute workouts. I understand I’m not only trying to lose weight but creating a healthy lifestyle for years to come. Over the last 6 weeks, I’ve been able to do things I never thought I would after my surgery. I can run! I can squat! I can play on the floor with my boys! My knee represents only a fraction of the strength I’ve gained from Habitat. It’s bigger to me than just a place to get a workout at. It’s about the workout I’m getting and how it’s changing my life. Bring on the marathon! About my life changing experience…where do I begin? I would first like to say I have a new addiction but one that I am so proud to tell everyone about. Before I started this six week boot camp, I hated my self. I didn’t enjoy going out in public or being around friends, or even family. I was just too embarrassed and ashamed of what I had become. My appearance was just depressing for me. I have always struggled with my weight. Then after I had my son, my weight was just 3x’s as bad. I have tried the Atkins diet, weight watchers, diet pills and nothing worked. It’s frustrating when you think you are doing something right but then no results. I would be one of those people who would be watching The Biggest Loser saying I want to be like them, and at the same time I’m eating a entire row of cookies. I really never thought I could eat right because I am so picky but all that has changed thanks to Habitat and Fit. The first week I started I really thought I was going to die but I just kept pushing my self. I never thought I could do the things I can do now, “Burpees, ha ha.” I started seeing results three weeks after I started. I now I need a new wardrobe because nothing fits. They are all TOO BIG!!! That feels awesome to be able to say. I am now confident and loving my self more and more everyday. This addiction is one that I never want to lose. Thank you so much Habitat Health and fitness! Wow, My transformation… What can I say, it’s amazing!! I’m sure I’m not “The Biggest Loser” but 15 pounds is great! I went for my yearly physical Monday. My Dr. was SO impressed. Not only was my weight down but my blood work was perfect! You know what they say;”You are what you eat”. Well before this transformation… I was a “Junkie”. I was a 6+ pack a day soda drinker and I loved my junk foods. Cookies, cakes and Bread all the time. Since I started this program I haven’t had a soda. Cookies and cakes are a thing of the past and I really don’t miss them. I worked 50 hour weeks came home every afternoon and plopped in the chair not doing much more the rest of the day. I was tired and cranky all the time and didn’t like myself or my life. Now I leave work and race to go exercise. I actually look forward to what I call, “the Torture!” LOL! I leave there whipped but full of energy. I make it to my son’s baseball games and my granddaughters swim lessons ….All in the same day sometimes. I then go home to make dinner and even get some house work in before bed. It’s great! I feel so much better about myself and my clothes fit better. I still have a long way to go and I am determined to see this thru. I have tried everything under the sun to lose this weight and I have finally found something that works. Hard work and determination! My baby is 16 now I can’t blame it on the baby fat anymore! Thank you Habitat Health and fitness! And Misty McCracken for pointing me in this direction! A few months ago I was overweight, exhausted, and struggling to keep up with three children. I often heard myself say, “Mommy’s too tired to play outside today.” I felt like a hypocrite for insisting that the kids eat healthy snacks while I munched on chips. I feared their childhood memories would be of their fat mom sitting on the sidelines while everyone else enjoyed life. Before Habitat my thoughts about health and fitness were full of regret, fear, and dread. This program gave me a real solution, not a temporary fix. 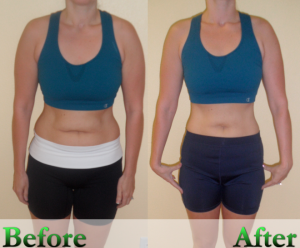 I lost 7.5 inches over the last six weeks and I toned areas of my body that I had given up on years ago. I lost weight and gained more energy. My favorite thing about boot camp is the way we keep each other encouraged and accountable. This is different from anything I’ve ever done because it’s changed my way of thinking – now I refuse to make excuses. Recently I began having painful attacks and my doctor confirmed that my gallbladder had to be removed. The old me would have used that as an excuse to drop out of the challenge and sit around and eat a bunch of junk. I knew that my gallbladder would flare up whether I worked out or not so despite the pain, I pressed on. I went in for surgery on the last day of the body transformation challenge. My doctor was amazed by how quickly I bounced back. I credit my speedy recovery largely to my new found healthy lifestyle. There is no short cut to fitness, you have to put forth the effort…but the good news is that Brandon can put you on the fast track! A year ago I was faced with four major challenges. I weighed 237 pounds. I was lucky enough to get the help of Brandon Roggow, my personal trainer who understood the challenges I faced and helped me navigate through them. 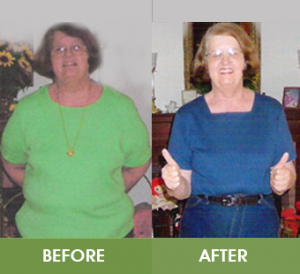 My first challenge for myself was to get below 200 pounds before my 60th birthday. I was 195 pounds on my birthday. My second challenge was to get my blood sugar to normal. I was successful when I saw my doctor. My third challenge was to strengthen my back, and with Brandon’s help showing me the proper way to use the weights, my back has improved. He pushed me, but knew when to let up and listen to what I said. I have hit my target weight, but this is not the end of my personal body remodeling. TO GET INTO THESE SKINNY JEANS!!!!! During the summer of 2007, I had terrible pain in my right knee and was unable to walk without a cane. Over a four-month period, while seeing an orthopedist, I had two injections and drainage in my right knee. There was talk of more injections and possible surgery in the distant future. I then began therapy training with Brandon. He was so knowledgeable, understanding and comforting. He concentrated on specific exercises, which would strengthen what he called the “stabilizing muscles” in my legs. I did these three times a week and for alternate days he gave me exercises for my upper body and arms. Brandon provided me with 18 exercises so I never get bored. I put my trust in Brandon and, thanks to his commitment to me, I am doing just fine today. These words have run through my mind for the last 13 months…the time I have, worked out, and have had a personal trainer. My personal trainer, Brandon Roggow preached these words to me until they became a part of my psyche. Abs tight? Squeeze those muscles! These words as well have become a part of my workout routine. The best thing about all this – I have seen the results! I had stomach surgery and lost 200 lbs. However, though I lost the weight, I did not workout as my surgeon recommended. While I looked height/weight proportionate, because I didn’t workout my muscles began to atrophy. It was not until I began working out with Brandon that I saw a real development in my muscle mass and began to have cuts in my muscle groups. People began saying I looked like I lost more weight when in fact, I was rearranging my body- losing fat and gaining muscle mass. Could I have done it on my own? Some people could answer yes to that question, but for me – and I know me better than anyone else – having a personal trainer was important. He showed me the correct form, and he helped with motivation, diet, and frame of mind. For me, the most important of these was motivation. Brandon has become a friend who listens to my complaining, understands me, and recognizes my moods. He is also the one who will not let me slack in my workout, he will push me when I need to be push and he will congratulate me on a job well done. Thank you Brandon for all you have done and shown me. All I can say is: Partial Movement…Partial Development! My life has been an up and down spiral since my brother was killed in 2007. Battling stress from work and grief from the loss of my little brother my weight was always up and down. I felt like I had no control over my life. I had a daughter in 2008 and another in 2010. After my second daughter was born I was struggling with my weight still. I finally stepped on the scale one day and I weighed as much as I did when I went into labor with her. I was falling apart, mentally and emotionally. Thanks to my mom and sister I was introduced to Habitat Health and Fitness. After my first week there I felt like a different person. This six week program wasn’t about the contest; it was about getting my life back. I would wake up in the morning wondering all day what the workout would be like. No workout is the same and that is why I loved it so much. You never knew what to expect. After finishing every workout I felt amazing. Thank you Brandon for giving me my life back and I can’t wait to continue my journey with you at Habitat Health and Fitness. Back in January, I decided I needed to change my workouts and what I had been doing. I had been training with a personal trainer 3 days a week for almost a year. I had hit a plateau and was not seeing any results. I was not happy with what I saw in the mirror. Having been a college soccer player and wanting to get back into that kind of shape, I saw an advertisement for Habitat health and fitness. I had nothing to lose and decided to try the week trial. After the first day, I realized how different Boot camp was from my previous workouts. After a week, I was already seeing great results and signed up to continue. After encouragement from a friend I decided to sign up for the 6 week body transformation challenge. I couldn’t be happier that I did! The weight that I put on in the last 5 years that I felt I could never lose came off in 6 weeks. 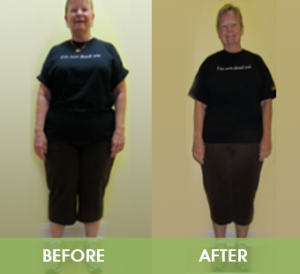 Since starting at Habitat Health and fitness, I have lost 13 pounds. Not only did the pounds come off, but most importantly, my body fat came down 7% and is continuing to decrease. It has made me realize that I really can get back to being in playing shape again. My fitness has greatly increased. I have been able to start running again after more than a year and it feels great. I have so much more energy and can’t believe how great I feel. I am starting to regain my confidence and my husband cannot be happier about the changes he has seen in me. I love the format of the workouts at Boot camp. The interval training gives a tough and effective workout in a minimum amount of time. The group setting is awesome, there is always great encouragement and competition. From someone who has played competitively, this atmosphere has given me what I needed in a workout routine. I get excited every day to go to Bootcamp and see what Brandon has in store for the workout. For anyone who wants to get in shape and feel great and have fun while doing it, Habitat is the place to be. Where do I even begin, My name is Tracy and I have FINALLY found the answer to lasting weight loss, improved health and an increase in self esteem. For over half of my life I have been on EVERY diet known to man (Atkins x4, Weight Watchers x5, Protein Power, Medi Weight Loss, Medifast, Nutrisystem x2, Jenny Craig, The 3 Hour diet, Suzanne Somers, Slim Fast and the list could go on and on). I have lost and gained the same 30 pounds over and over. Each time was harder to lose and easier to gain back.I admittedly am addicted to infomercials and own every Exercise DVD that is sold at 2 in the morning. I also own the worlds most expensive keychain…A Golds Gym membership key tag. All the diets, exercise DVD’s and quick fixes have only made me appreciate Brandon and Habitat Fitness even more. They all lacked the perfect combination of diet and exercise. At Habitat Fitness, Brandon has taken the guess work out of turning your body into a fat burning machine.Each day is a different workout, which means your body doesn’t know what to expect…..I found my entire body getting stronger from the very first week and my waist especially started shrinking. 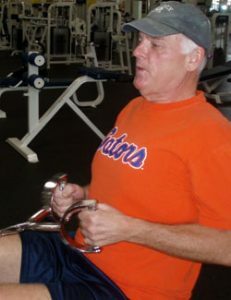 I will not say the workouts are “easy” and you won’t hear me say they are “fun.” What I will say is the workouts can be done by ANY AGE, ANY SIZE, and ANY FITNESS LEVEL. Brandon keeps you in good form and adjusts the intensity for you. He really cares about your health. He has been there for me every step of the way.When I first started I could barely do any of the exercises.Now I challenge myself to do better than the last workout. I used to get short of breath going up one flight of stairs and considered lunges a four letter word. Now I have energy and strength like never before.My self esteem had really suffered through the years and when I started this challenge I wouldn’t let my face be in the photo because I was so ashamed of the way I looked. While I am not at my goal weight yet, this 6 week challenge has given me better results than anything I have ever done. Now with Habitat Fitness I am on my way to becoming more fit and healthy than I have ever been. Thank you Brandon for giving me my life back! 2010 was the most difficult year of my life. Among a long list of other setbacks, my husband lost the job that he loved and was unemployed for several months; my dad fought a year-long battle with cancer; and on December 12, 2010 my Sergeant and friend, was killed in a freak crash while doing a traffic stop. We were both on duty that day, and although I was by his side, I was helpless to do anything to save him. Afterwards I was left to wade through the emotions that come along with losing a friend and mentor, someone who I’d relied on and looked to for support, so suddenly and tragically. My personal defeats and disappointments were frequent and steady, and I turned to alcohol to numb my pain and erase my life, a little bit at a time. I rang in the New Year as an unhealthy, unhappy shell of a person… in a downward spiral. I actually stumbled upon Habitat Health and Fitness and figured I had nothing to lose, other than a few pounds. I wandered into my first day of boot camp not knowing what to expect, and got my world rocked. I found myself in a completely foreign environment; one that revolved around teamwork, support, encouragement and strength. After surviving the first two weeks of boot camp and regaining the use of my arms and legs, I looked forward to every workout, which provided me with the structure I so desperately needed, and a short term goal to reach every single day. The physical transformation that I’ve experienced in my time at Habitat is simply a bonus. My personal milestones and the invaluable friendships I’ve gained along the way are what have moved me and motivated me. I know that every time I walk through the door, I’m going to be met by a dedicated trainer who I trust, and a group of boot campers who won’t let the person standing next to them fail. To me that is the picture of a family, who without even knowing it, saw me through my darkest hour. That is absolutely priceless, and my thankfulness is without words.